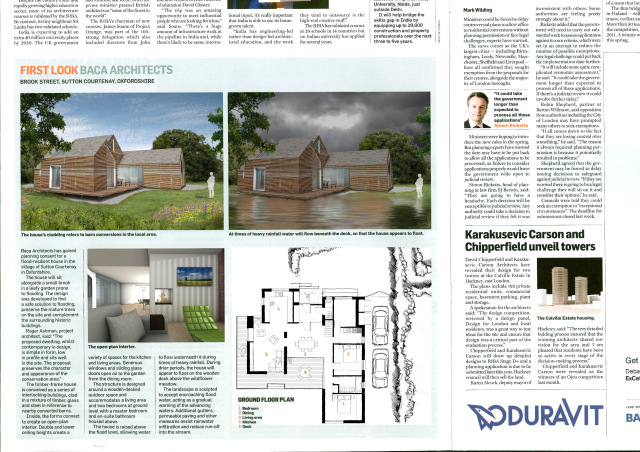 Last week Baca’s Brook Street project was published in Building Design Magazine’s First Look segment. The house resides safely above the 1 in 100 flood level supported by a network of micro piles. The dwelling is located in a village that suffers flooding from the Thames and its tributaries. The elevated design not only offers flood safe accommodation but provides added flood storage with the aim to reduce flood damage to neighbouring property.